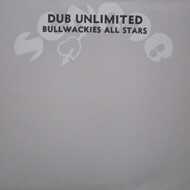 Magnificent dub album out originally on the Senrab label in 1976, when Lloyd Barnes' spars at the desk were Prince Douglas and Jah Upton, in the first months of the White Plains Road headquarters, and indeed as Upton - disheartened by the gang warfare that had crossed the path of the Bullwackies Disco sound - crifted away. The selection commemorates a series of brilliant sevens and twelves on labels like City Line and Wackies, and sister labels like Upton, Versatile, and Munchie Jackson's Earth imprint. Core rhythm tracks from Jamaica - Treasure Isle mostly, and then mixed by Tubby - had been worked over at the Sounds Unlimited studio on E 24th Street in Manhattan. There are few traces of singers, though: the Sylvester Brothers are singled out by the label artwork here. Baba Leslie's Black Horns - next piece to Wayne Jarrett's African Woman - is spun out of the opening track. The Love Joys are like genies in the stunning twin mixes of Disco Reggae. The track Dub Unlimited is John Clarke's Pollution (Unlimited Dub dubs singjay coverage of the Ali-Frazier Thriller In Manilla); Bullwackies Revenge is a version of the Chin Chow rhythm, a tribute to the restaurant next door; the Chosen Brothers' Talk To The Father is represented, and Andrew McCalla's Home By The Sea... But it would be wrong to bog the album down in these details - an all-time great dub LP.